Most people in the UK are supportive of the United States President, Donald Trump, visiting for a full state visit to the United Kingdom, new polling suggests. Major UK political figures, mostly on the remain side have said they do not want Trump visiting, such as London's Mayor, Sadiq Kahn. Though now polling says that 45 per cent in favour, 39 per cent against, and the remainder undecided. 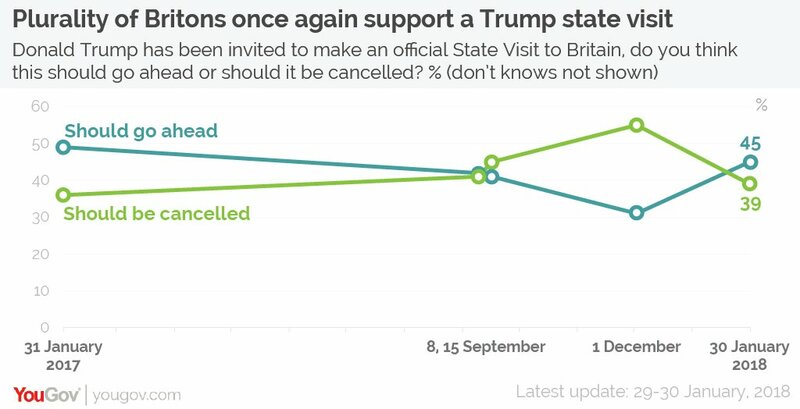 Showing that the British people would welcome the president coming to the UK, as a democratically elected leader of a democratic country. Many UK politicians are seen to being jumping on a bandwagon in regards to Donald Trump visit, people suggest that they are opposed because of their own views against Trump, and not what the British people want, which is clearly to see Trump in the UK on a state visit.